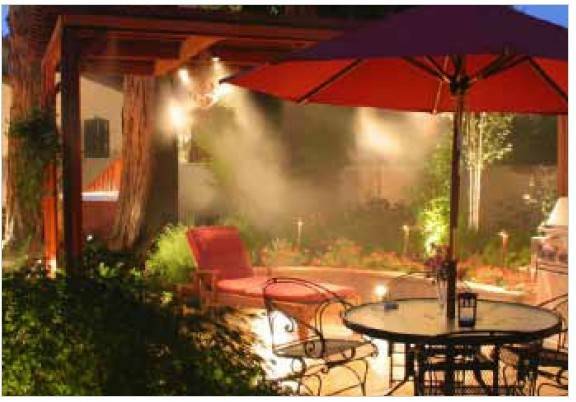 Low pressure misting systems are easy to install and recommended for swimming pools, hot tubs, green houses or any other areas that can get slightly damp. These systems can lower the temperature by up to 15 degrees F / 7 degrees C. Low pressure systems operate off of water pressure from a standard garden hose or hose bib. The performance of a standard low pressure systems depends on the water pressure in the home. If increased pressure and performance is needed, a booster pump can be added to the system to increase the water pressure.